Alternate-day is exactly what is seems like. Skipping food every other day. 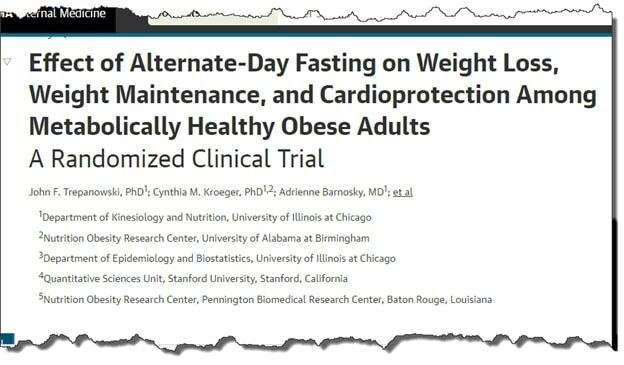 It’s not particularly pleasant… but the results of a new study are interesting, because indirectly they show how bad an idea alternative day fasting is. At six months, both the fasting and the calorie restricted groups had lost 6.8% of their weight. By one year, the fasting group was down 6% percent, and the calorie restriction group by 5.3%. Alternative day fasting works no better than calorie restriction for weight loss. That ‘s a problem. Because they work on basically the same principle – massive calorie restriction. 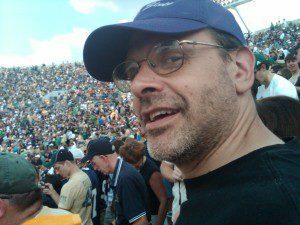 So you don’t get any additional benefits with this type of weight loss and you get a ton of problems with it. Including rising cortisol levels, lowered metabolisms, and lowered testosterone. These are huge issues because they cause loads of problems in the body and create a potential weight-loss bounce back that can be a real problem. Alternative day fasting is a triple threat cocktail of health issues. Each one layers on the other and creates more and more havoc. To discover how to lose weight effectively with the triple threat cocktail, click here. Fasting threat #1. Cortisol levels go up when you reduce calories. When you significantly restrict calories it raises the stress hormone cortisol in your body. And while cortisol is necessary to take fat out of your system, cortisol also has this really nasty effect. It eats your lean mass – your muscles and internal organs. The reason that this isn’t desirable is because your muscles and your internal organs are what burn calories at rest. That means the more lean mass you have the more calories you will burn. So it’s important to protect that lean mass no matter what. So if you restrict your calories through fasting, then you will end up burning far fewer calories when you go back to your regular food intake. Not good at all. Anytime you put yourself in starvation mode over long periods of time (which is what fasting does), then your metabolism goes down to compensate. It’s not your body’s fault, it’s doing what it’s designed to do, putting your ability to survive first. But it is something that you need to be aware of, because it means that when you stop fasting and start eating normally you will gain weight. Pretty much guaranteed. Now this is one that should have every man concerned about even the idea of fasting. This one is really surprising. But it’s backed up by facts. 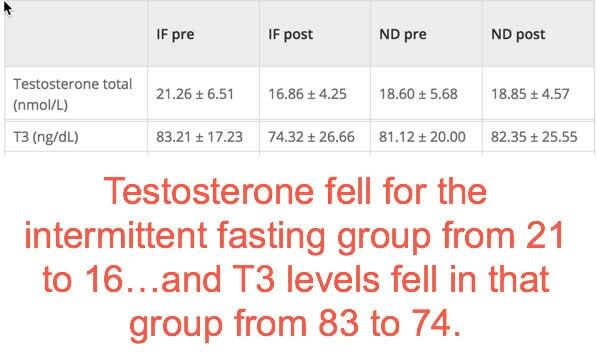 Basically, what that means to you is that if you use fasting to lose weight, you will damage your bodies ability to produce testosterone. This is not good news for men. It’s a huge hidden harm. And it’s a very, very good reason to avoid the fasting idea pretty much forever. There are also many, many other studies that show poor results from fasting. And it can make you pretty miserable, so why do it? There aren’t many ways to lose weight safely, and you certainly don’t want to put yourself in the grips of the fasting triple threat. It can do huge amounts of damage to your health, very, very quickly. It’s always a better idea to eat throughout the day. And for most people, it’s a good idea to eat a higher carb, low fat diet. This sounds crazy, I know. But when you fuel your metabolism with sugar and starch instead of fat (watch the fats in processed sweets), you can actually increase your energy consumption – or metabolism. ENERGY EXPENDITURES WERE SIGNIFICANTLY INCREASED COMPARED WITH THE OTHER TWO DIETS. This is so counter-intuitive, but it works. It works for me and it works for my students. If you really want to lose weight, then stop fasting for sure and reduce your fat intake (especially PUFAs) and consider a diet that is higher and sugars and starches.